For General Inquiries, please skip to the bottom of the page and complete the Contact Us form. If you have a specific request, please review the descriptions below and click on the provided link. If your specific request does not fall into one of the categories listed below, then fill out the form at the bottom of this page. The website is growing every day as new content is added. If you would like to see an article about a specific subject, please contact us by clicking on the link above and fill out the provided form. While there is no guarantee that we will write about the requested subject we will make our best efforts to provide you with the information you need or guide you to a trusted resource. Click on the link above for general information about all music production services or click on the links below for detailed information and rates. Click on the provided link for detailed information and rates regarding music mixing services. Rates are generally based on track count. Click on the provided link to contact us regarding mastering services for your music productions. You will find detailed information regarding the mastering process as well as rates. 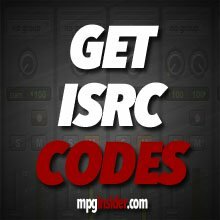 I am a licensed ISRC manager and provide ISRC codes with all mastering services. I provide consulting services for the design and construction of home and commercial recording studios. After a thorough analysis of your needs, goals and budget we can provide you with all the necessary information and resources to design, build and equip your studio. Please click on the link for detailed information and rates. If you are interested in private instruction for your music production work, we provide online tutoring that will focus specifically on your music production goals. Instructional sessions can be set up using phone or Skype including desktop sharing if desired or requested. Additionally, we can provide a professional critique of your music production and engineering work. Critiques can range from stereo mix analysis to full analysis of multitrack Pro Tools and Logic sessions. We can provide a screenshot video with a voiceover critique of your multitrack session with specific analysis of recording, editing and mixing techniques on a track by track basis. We are accepting all inquiries, through the Contact Us form, regarding music-production-guide.com including affiliate requests and advertising. 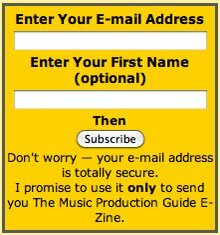 We will be happy to answer any questions you may have regarding the music-production-guide.com website and the information contained here within. Return to Home from Contact Us.